Quite often, we think of rewards as something extra – optional gifts that are fun to use but aren’t exactly necessities. This shouldn’t always be the case. Incentives can address real-world concerns and everyday needs like protection during weather emergencies, auto safety, and alternate power sources while traveling away from home. Whistler, an automotive electronics innovator for nearly 50 years, offers a variety of premium gifts that address these safety needs for your employees, best customers, and business partners. Corporate incentives will prepare your employees for weather emergencies. Severe weather is always unpredictable, but with the right tools on hand, you can overcome problems like power outages. Whistler’s XP200i Power Inverter serves as an essential alternate power source to keep smaller appliances running. The brand also covers even bigger power needs with inverters in 400 watt and 800 watt sizes. For backup power for your entire home, we offer industrial-strength generators like the 2800 Watt, 12V Inverter Generator from Honda Power Equipment. Keep your employees safe with employee gifts and incentives that never leave them stranded. A dead car battery can strike without warning, and quite often, the only option you have is to call a friend for a jumpstart or phone AAA. 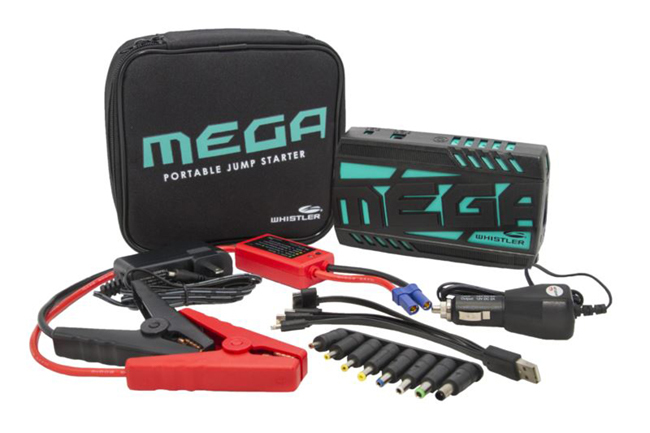 With Whistler’s Mega Portable Jump Starter and Power Supply, you can take matters into your own hands. 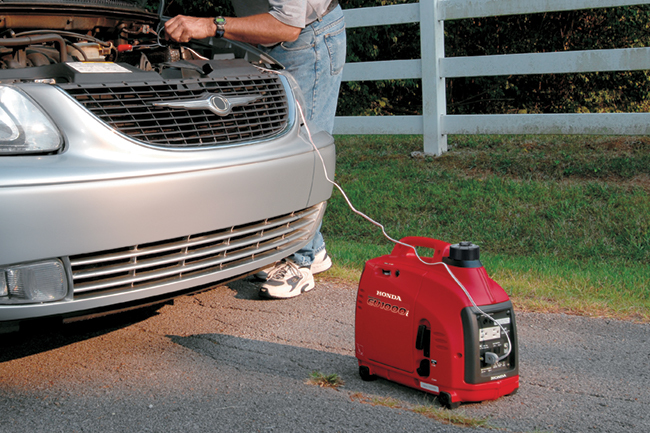 This kit jumpstarts several types of 12V single-battery vehicles (including 4-, 6-, and 8-cylinder engines) and comes complete with an LED flashlight. Also, protect yourself from potential insurance claim disputes with the auto accident detection feature that is built into Whistler’s D28RS with GPS and Wi-Fi. 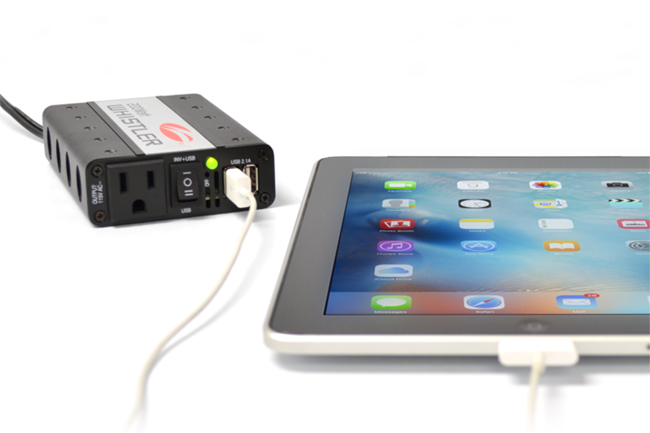 Power outages aren’t the only time you need an alternate power source. Tailgate get-togethers and camping trips often require power for cooking. Whether it’s before the big game or around the campsite, keep everyone fed by using Whistler’s 3000 Watt Power Inverter. It can easily be used in a car, RV, or boat, and it has several features that ensure user safety – a thermostat-controlled cooling fan, ground fault sensing, and electronic circuit protection. Honda Power Equipment also offers portable generators, like the efficient and lightweight 1000i Watt Super Quiet Series Generator. These corporate gifts will supply all the power you need while you are away from home. Through our commitment to delivering the best gifts, better service, it’s our goal to provide incentive options that suit all needs and preferences, including lifesaving tools and technology. Explore all our Whistler mobile and automotive electronics and Honda Power Equipment products incentives, drop us a line at 888-862-9283 or contact us today to select the right safety gifts for your team. Plus, sign up for our preferred pricing membership and you will be eligible for our monthly preferred pricing giveaway contest.